Why pay hotel prices when you can rent an efficient modern furnished unit with more amenities? 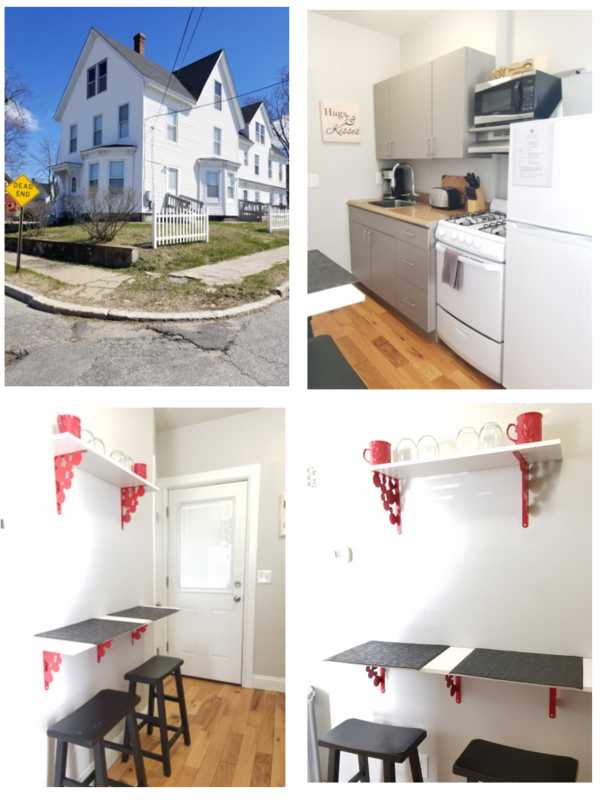 Let this be your worry free rental-Utilities can be included for additional to include cable, wifi, and include use of the laundry rm (2 sets of new washers/dryers). 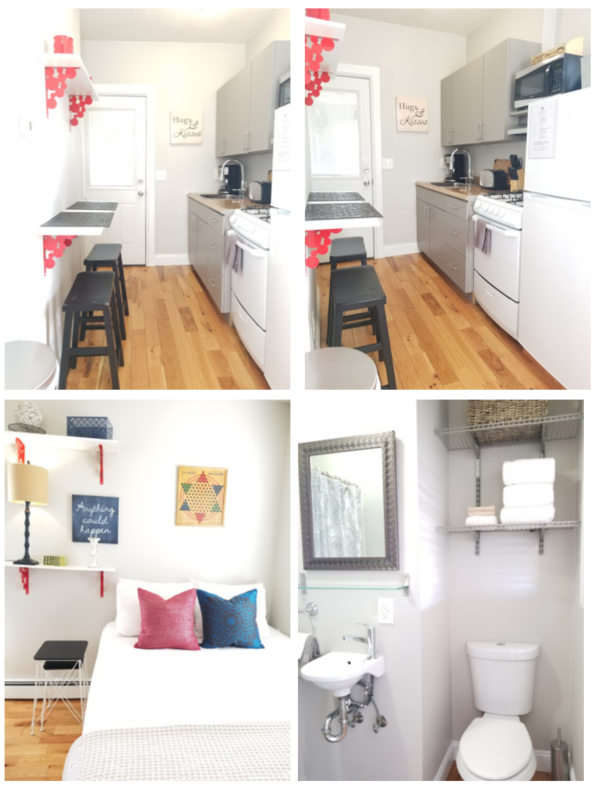 Fully furnished-small yet efficient studio apartment plus enclosed porch/mudroom. 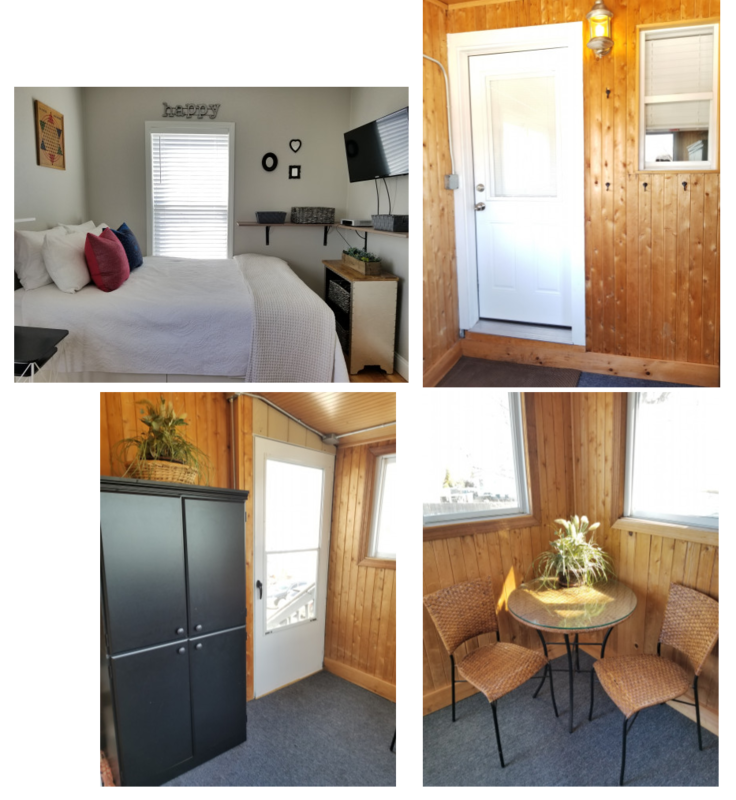 This 350 sq ft unit is located on 2nd Flr of a 7 unit building, on a large corner lot that abbuts a dead end residential street. 3/4 Bath. Kitchen includes Gas stove, Refrigerator, & Countertop Microwave. Shared outside patios. 1 Offstreet Parking Spot in Large Parking Area. W/D in building (unlimited use with Utility Pkg). Natural Gas Heat/Hot. Window A/C Installed for Summer Months. Pets Considered for an Additional Monthly Pet Fee.